The advice may sound obvious. But I’ve been guilty of most of them over the years. If you speak to anyone who works in a bike shop, you will learn never to take it for granted that people know how to do the obvious – like blow up tyres. There’s no shame in taking your bike to a bike shop. Something like wheel truing is a fairly rare job. You’re better off taking it to an expert rather than trying to do it yourself. 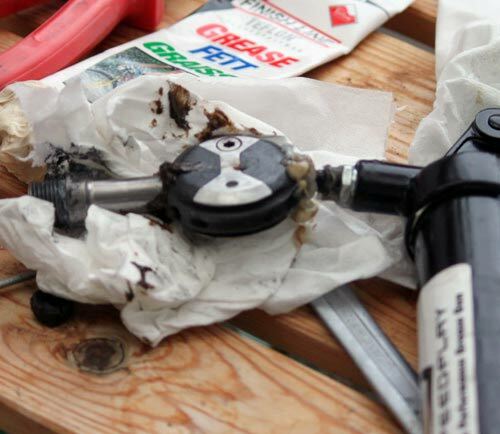 After rain, speedplay pedals need greasing like mad – unless you want to keep forking out £200 for a new pair. For a bike you race on, it is worth changing chain every 1,000 miles to get better efficiency and make expensive cassettes last a longer time. You wish there was some kind of natural law which meant that when you increase your cycle fitness, automatically your mechanical competence increased in equal measure. You feel that if you can cycle 50 miles in under two hours the gods of cycling should, at least, give you the capacity to change a tubular or adjust a gear without losing the will to live and contemplating becoming a cross country runner just to avoid bike maintenance. But, alas, life is not so straightforward; not only do we cyclists have to train through wind, rain and sleet, but we also have to learn the intricacies and challenges of bike maintenance. Give me a 20% hill and I’ll cycle up it all day long, but give me a Shimano Dura Ace 10 speed group set and, for the life of me, I will never be able to remember whether tightening up the front chainring position is anti-clockwise or clockwise. Instead, I will mindlessly keep turning the screw in all different directions until by a random chance of fate, it nearly aligns like I want it to. This is assuming I haven’t given up and taken it to a bike shop. Nevertheless, despite years of frustration, broken allen keys and gear shifters which resolutely fail to shift, I still have some wisdom to pass onto those who find themselves in a similar situation. Your best bet is usually to take it to a bike shop who know what they are doing. You will save yourself time, money and you won’t have a large dint in your carbon fibre frame because you hit it with a spanner in frustration. Now, this is not exactly scintillating advice – but, it’s always been my great saviour. 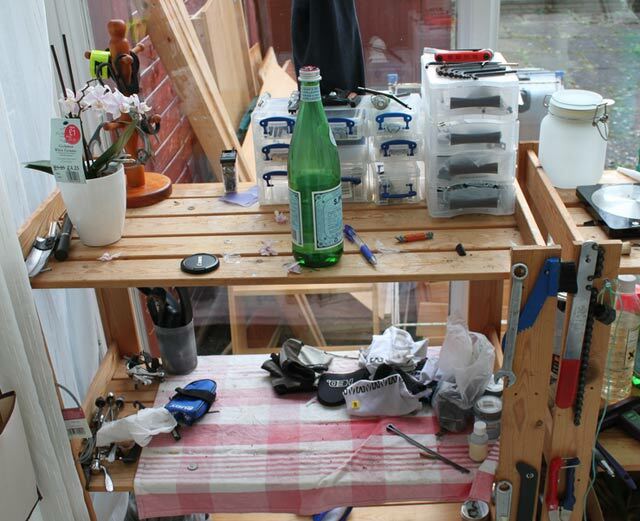 No matter what you start you know that when you fail to finish it, you can always take down to bike shop. In 20 years of having my bike repaired, only once have I felt bike repair was expensive; often it’s embarrassingly cheap – at least compared to motor car maintenance, which seem to have a £50 minimum charge just for turning up at the garage. Here, I will give a shout out to Reg Taylor Cycles on Iffley Road – they have been doing a good job for 10 years. No matter how many times you read the manual, you will still end up changing your gears and brakes by guess work. This involves prolonged amounts of fiddling, testing, and going back to change it. Sometimes it can’t be fixed. After two days of failed attempts to adjust gears, you realise actually you need to get a new cassette and chain. I once spent ages trying to adjust the front mech on my TT bike. It seemed impossible to align. This went on for several weeks – when I took it to bike shop, they said I needed new front mech. No wonder I couldn’t get it to work properly. A surprisingly large percentage of all my successful bike repair operations have involved the use of superglue, but never in any single book on bike maintenance as anyone ever suggested using superglue. Either I have a secret no-one else has thought of – or more likely my bike will one day unceremoniously fall apart. The noise o meter. How loud does that annoying noise on your bike have to be before you attempt to fix it? i.e. which is greater – the irritation of the noise or the dread of trying to locate the noise and fix it without making it worse. Developing a tolerance of noise can solve many bike maintenance problems. But, be warned, bike noises can come back to haunt you. Bike noises can be irritatingly hard to source, but sometimes bike noises are nothing more than a wheel not correctly fitted. I don’t advise bike maintenance in the living room whilst watching TV. It’s one thing to keep a bike in the house, but bike maintenance is not entirely suited to a pale yellow carpet. Cheap Tools are a false economy. Cycling is unbelievably cheap, but it hasn’t stopped me trying to fix a £5,000 bike with a set of cheap allen keys from the local pound shop. So much needless frustration from using cheap, rubbish tools! The worst is when these cheap allen keys ’round’ the cheap bolt on your stem. Missing Parts. An amazing thing about bike maintenance, is that whatever task you are involved in, some key piece will mysteriously disappear and get lost during the process of maintenance. You will find this later (when you have bought a replacement at a ridiculous price); this key part will probably have moved itself to that space in your workshop / garage called – random bike parts. This box has laws of its own. It always gets bigger with an ever increasing quantity and variety of miscellaneous bike parts. You never can throw out anything from this box, because although you don’t know what their purpose is, you can’t bring yourself to throw it out because they cost you a lot of money! Don’t always blame the mechanic. I have been frustrated by cheap allen bolts and screws which rust making them impossible to remove. I blame bike manufacturers which use cheap components more liable to round. The real secret of bike maintenance. Just remember if you speak nicely to your bicycle it will be much easier to adjust those gears 🙂 If speaking nicely doesn’t work, a hammer or superglue can solve 50% of problems. This is great advice as I was about to buy cheap tools to repair things. However, after reading this I will make sure to not skimp out and purchase the tools that will be the most efficient for my bike. I am not the best handy man, so I may end up trying to find a professional to do it for me. Thanks for sharing your thoughts on bike maintenance. One thing that you said that I liked was that there is no shame in bringing your bike to a shop or even buying parts online. I would like to get into biking, and I think that this information will definitely help me take care of my bike.